In the month of August I read and completed two books. This summer has been really difficult in terms of reading and finishing books, but I’m trying my best! “The Heart of Betrayal” by Mary E. Pearson. This book was a great continuation of the first book and it definitely left me wanting to know what happens in the last book. The suspense, the action, the romance, the questions… I need to know! Check out my review here! “Magic Bites” by Ilona Andrews. 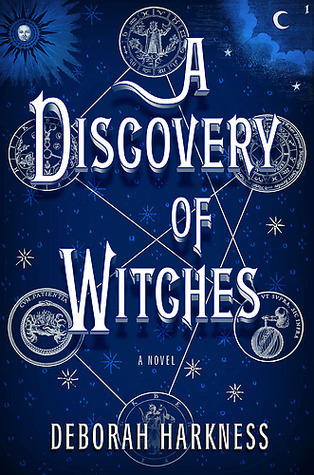 This book was a good start to this urban fantasy series and I’m definitely intrigued to know more about the world as magic ravages across Atlanta. Check out my review here! 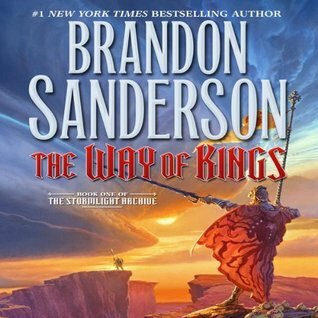 “The Final Empire” and “The Way of Kings” by Brandon Sanderson. “Harry Potter and the Goblet of Fire” by J.K. Rowling. “A Game of Thrones” by George R.R. Martin. “Clockwork Prince” by Cassandra Clare. “A Thousand Pieces of You” by Claudia Gray. “Forbidden” by Kimberley Griffiths Little. “Days of Blood and Starlight” by Laini Taylor. Yeah, I started all of those, but haven’t finished them… I think reading multiple books at once is what’s stopping me from reading, really. It’s difficult to retain everything that’s happening because I don’t want to confuse one plot with another. So it’s been a productive month for reading, but not a fruitful month, you know? I want to finish what I’m reading and find out what happens! Shoutouts (Part 1) – I did some shoutouts to various book people! I think everyone deserves recognition for what they do, and I’m going to do this as much as I can. How I Organize My Bookshelves – I talked about how I do my own shelf organization. This will probably change over time, but I think one constant I’ll always have will be my “favorites” shelf. Let’s Talk Shadowhunters – The show has a full cast and production is well under way. I talk a bit more about the cast and how excited I am for this show! Book Clubs: Yea or Nay? – The pros and cons of book clubs are discussed here. Would you join one? Rayna Recommends: High Fantasy – In hindsight, I wish I had done a broader topic of fantasy and then narrowed from there, but here I recommend some high fantasy books and movies! Bout of Books 14 Readathon + My Birthday – I participated in Bout of Books 14 and it was also my birthday this past month! It was a fun time and I’m proud of what I accomplished. Reading Tastes – I talked about how reading tastes change over time and how you can love one thing one year and completely change your views in the next. So it’s been a productive month and I’m happy to have had all the talks and whatnot. But now it’s the moment you’ve all been waiting for! The giveaway winner! Thank you to everyone who participated and joined in! I’m very happy and I hope to see more of you around in the years to come. Congratulations! You’ve already been contacted by email, but I wanted to give a shoutout here, too! Thanks all and look forward to the next giveaway! Let’s see what the next month has to bring. What did you read this past month? Let me know! This entry was posted in Wrap-Up and tagged 2015, adult, august, books, fantasy, giveaway, read, reading, urban, wrap up, wrap-up, ya, young adult. Bookmark the permalink. You’ve had some great posts over the month, I particularly liked the book clubs, shout outs and reading tastes. I hope you come out of your slump soon. I don’t think I could start so many books and not loose track of the characters / storylines. Perhaps choose one of your started ones then finish that before moving to the next? Thank you! I think that’s what I’m going to try to do. I just have so many books and I want to read them all right now! It’s seriously a problem. I can sympathise with you there. My tbr list is huge and they all sound so good. Slumps are the worst! I usually get out of them by re-reading some of my favourite books which seems to get me interested in reading again! I hope you can get out of yours soon! It’s all about finding that right one to get you out! Again I can’t thank you enough ♡ It was the best news to hear before sleeping hahaha. I’m glad! Your book is going to take 7-10 buisness days to arrive, so you’ll see it sometime next week! And thank you!